You may be surprised that you’re getting a letter because it probably feels like everybody forgot about you, but I didn’t. I witness the amount of abuse and neglect you take from different people. This can range from people using you at every stop, exit, and lane change, even if nobody is around. This leads to you being worn out and having to be replaced or worse; not being replaced and having people guess when you’re working. As for the people who neglect you, shame on them. Since they chose to ignore you, bad drivers have caused around 2 million car accidents per year. What a disgrace. I can’t believe somebody would ignore a device that lets other driver’s know when and where they’re going. Many people may not know this, but if you’re moved upwards, it indicates that the driver’s going right, and down means left. It’s simple driving 101 people. There’s no excuse not to use you. 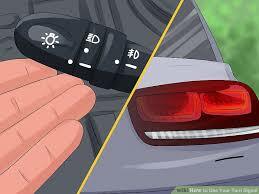 In fact, if a car doesn’t have turn signals embedded in them or they just don’t work, the driver can use hand signals. These are simple to learn as well. One of the most important rules that I learned about driving, is to not try and predict what another driver is going to do. That’s what you’re there for, to give us knowledge about what they driver’s next move is. Due to the amount of neglect you’ve suffered through, I’m surprised that you’re incorporated into all the cars. However, I do see many drivers using your obnoxious cousin, high beams. Man is he an attention seeker. He always wants people to look at him, even though they can’t since they’re being blinded. The only place that he should be used are on long dark roads where the driver can barely see in front of the hood. My letter to you is to show how appreciated I am that you’re a part of my 2008 Toyota Prius. Without you, I wouldn’t be able to change lanes safely during traffic. Although, I can’t stress the fact that even when you’re on, other drivers seem to ignore you. In fact, they may speed up so that you can’t serve your purpose of allowing me to merge lanes. Those are they types of people that you can’t bring home to mama. Thank you for allowing me to drive safer.